What better time to talk about love and the skillful pen splashing heart-throbbing, romantic scenes across the page? 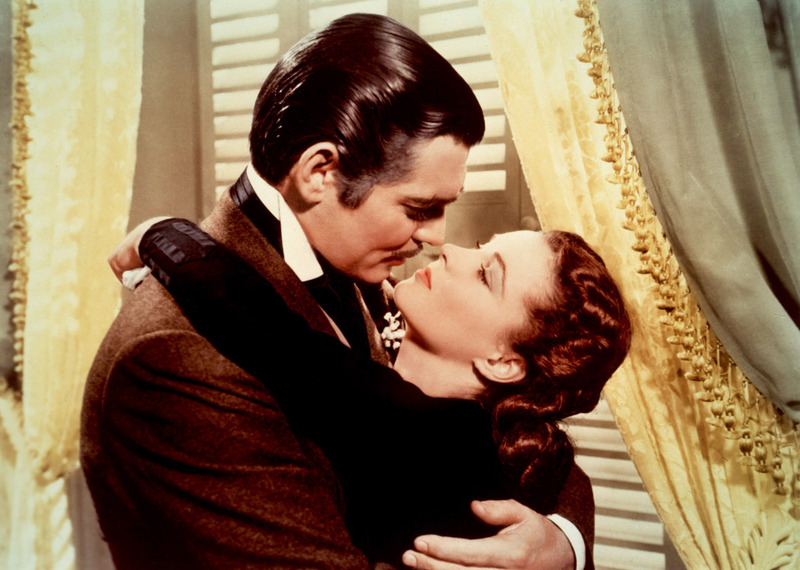 Today we'll peek at Margaret Mitchell's award winning characters: Scarlett O'hara, Rhett Butler, and the beloved Ashley from her novel, Gone with the Wind. We'll see how romance does not come in a one size fits all category yet still can thrill the reader. Mitchell wove Scarlett's love for Ashley throughout her book. Scarlett could have had the love from any man in her town. Her seventeen inch waist accented a beauty unmatched by any other girl and her spirited personality enticed every male to become the victor in marriage. When she discovered Ashley had proposed to Melanie, Scarlett's raging jealousy flared. "Oh Ashley I love you. Tell me you love me." Would Ashley leave Melanie for Scarlett? We wonder and perhaps hope to the very last scene. It doesn't take long to realize Ashley's "love" for Scarlett is lust. His honor forces him to remain true to Melanie, yet he finds himself alone with Scarlett and caught in her lustful snare several times. Mitchell didn't need intimate bedroom scenes to paint a driving love scene. The characters drove the point with passionate conversations. Despite Rhett's shady past, he found himself genuinely in love with Scarlett. "You need kissing badly." He determined to take care of her since no one else could. Rhett coped with Scarlett's lack of love for him, but he wouldn't accept her constant desire for Ashley. Scarlett sobs as Rhett tells her he is leaving. She gazes at his determined face and begs for him to stay. "I only know that I love you." Scarlett follows him to the door. "Rhett, Rhett. Where shall I go? What shall I do?" As Rhett walks away Scarlett sobs, "I can't let him go. There must be some way to bring him back." Will she? Mitchell painted love with different colors drawing readers into the harsh realities found in American history. Now that's a history lesson! Are you painting love with different colors in your writings? This discussion makes me think of God's love for us. His love is genuine, never wavering, always true. I love the different colors of the characters' love stories and bringing it all back to God's love. Great post, Mary! There were SO MANY emotions in that movie! They really string the viewer along, definitely makes a good example of what it takes to take your reader on a roller coaster! The sad part is, no one really ended up with the love they wanted. Yet, we as readers felt satisfied. Didn't we talk about that recently here on the Alley? I was talking about these characters with my daughter who is a senior in college. She made it crystal clear to me that the Melanie of the movie is whimpy, but the Melanie in the book has a stronger character. I read this book a long time ago, maybe I need to go back and check out the color of Melanie's character inthe book. So true for me too. But maybe that's why my daughter thought Melanie in the movie was whimpy. The movie Melanie was blind to Scarlett and overly forgiving, almost unnatural. I've always been dissatisfied with how that movie ended. I always had to continue it on in my mind and have Rhett and Scarlett get together in the end. Gotta have my HEA! For those who feel like Sherrinda, and I'm sure there are many who prefer the HEA endings, why was Gone with the Wind so loved?